36 Commercial Real Estate and Properties in Hunter Valley are listed in 8 categories. 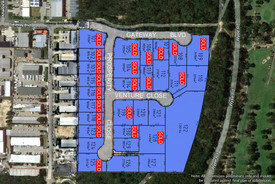 We have 35 Development Lands for Sale , 26 Industrial Warehouses for Sale , 12 Retail Shops for Sale , 6 Offices for Sale , 4 Other Commercial Properties for Sale and 4 Medical and Consulting Properties for Sale . Ray White Morisset is pleased to offer 129 Dora Street Morisset for Sale. Zoned: B4 Mixed Use Commercial Site Area: 796 (approx) 20m x 39.9m (approx) The site offers the following highlights: Emerging major centre investment Fronting the gateway road to Westlakes Neighbouring Caltex Service Station and McDonald's Servicing Hunter Valley, Newcastle, Central Coast and local catchment Overlooking golf course and bowling greens M1 interchange and Railway Station minutes away Fully serviced vacant level site Clear instructions to sell For more information or to obtain a copy of the Information Memorandum please contact Peter MacIntyre 0404 885 411. Disclaimer: Every precaution has been taken to establish accuracy of the above information but does not constitute any representation by the owner or agent. Information is gathered from sources we believe to be reliable; we cannot guarantee its accuracy and interested persons should rely on their own enquiries. 'Bonnells Bay' one of Lake Macquarie's fastest and most rapidly emerging lakeside suburb's. Ray White is pleased to offer a unique site 'Victoria Street Development', set amongst upmarket waterfront properties, with the potential to capture sparkling lake views from the second storey. Key Features: Zoning B1 Neighbourhood Centre, approximately 900m² DA Approved for 7 residential units commanding water views, 2 ground level commercial units, secure car parking (15 carparks) rooftop garden terrace Prime investment in a rapid growth area Corner block with neighbouring commercial shopfronts Two street frontage Minutes to Morisset CBD, shopping centres, schools train station Easy access to M1 interchange Close proximity to parklands 700m to 'Pendlebury Park' boat ramp 3.5km away from 'Trinity Point'. Opportunities are endless; The site's flexibility holds a vast range of concepts/designs. Ideally suited for ground level commercial shopfronts, the upper level will command exceptional 180 panoramic water views. DA Approved Concept by Christian Grennan (Lic. Builder, Architect and University Lecturer) from 'Kreis Grennan Architecture.' C. Grennnan firmly suggests '8 Victoria Street Bonnells Bay breaks new ground in Bonnells Bay. It's a mixed use development, which will be the cornerstone for a new business centre. Two highly visible commercial tenancies form the base of the building with seven accessible apartments above. The new occupants have access to a relaxed lifestyle, without the burden of owning a house. Panoramic views and water cooled summer breezes will form part of the occupants daily lives. Generous apartments, all adaptable and accessible via a lift and ground floor secure lobby cater for the less mobile and active citizens alike. A beautiful roof top garden provides the perfect foreground to the water views. The contemporary design includes a bold composition of subtly varying coloured planes. The colours will be ever changing as light changes throughout the day and year. 'Victoria Street Development' provides truly a great opportunity to be part of something that will define Bonnells Bay.' 8 Victoria Street aligns with Lake Macquarie's latest major development 'Trinity Point', transforming Lake Macquarie into an international location. The forthcoming amenities include; Marina, 5 star Pullman hotel, business centre and restaurant only 3.5kms away. This concept provides an opportunity for Doctors, accountants, solicitors, tradespeople, cafes or bistro owners to make use of the commercial space to grow their business in one of Lake Macquarie's prime lakeside locations. Your investment is highly upheld in this rapid growth area. Please contact our agency for DA approved plans, landscaping plans and any additional information. Disclaimer: Every precaution has been taken to establish accuracy of the above information but does not constitute any representation by the owner or agent. Information is gathered from sources we believe to be reliable; we cannot guarantee its accuracy and interested persons should rely on their own enquiries. Discover the real meaning of effortless living in#8203; at#8203; Woodlands Morisset, #8203;offering a sophisticated development in a central location. Located in a quiet street and surrounded by quality homes alike these 3 bedroom single level Torrens Title homes are a must to inspect. Comprising of cleverly designed living areas and private courtyards offer functional space and uncompromising style. These low maintenance homes#8203; boast built in robes, internal access from garage, baths and modern colour selections#8203;.#8203; Enjoy the convenience of having local shops, schools and public transport at your doorstep and Morisset train station just a short drive away. Enjoy year round comfort with a#8203; Daikin split system air conditioning, and all the quality inclusions and finishes you would expect#8203; of#8203; a much more expensive home. Including affordable low maintenance living, perfect for young working professionals, retirees, or investors wanting to take advantage of the strong rental return of $390 $440 per week. Modern, low maintenance living just doesn't get any better than this. Construction commencing soon. Each individually designed to creative#8203; create the best possible living space for all. Open plan living areas overlooking private alfresco courtyard. Quality fit#8203; #8203; out including stone bench tops and stainless steel appliances. 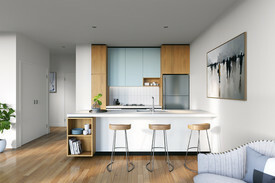 $10,000 grants and exemption of Stamp Duty available for First Home Buyers when purchasing off the plan. For further enquiries, please contact Barry Price on 0402 140 240 or Demika Crow on 0432 336 976. We look forward to speaking with you soon. Offering a bundle of spacious studio apartments plus study with a contemporary floor plan. Featuring a great use of space and secure underground parking and balconies. Within one of Newcastle's hot spots, this ever so popular suburb will allow you to enjoy all that this great city has on offer. "The Grounds" Callaghan will make for a fantastic investment now or in the future. Secure your piece of this go ahead suburb and grow your property portfolio with one of these fantastic choices. Save thousands on stamp duty, and if it is your first home enjoy your first home buyers grant starting you off on the right foot. 2 bedroom apartment or townhouse options also available from $460,000. Private balconies Opposite The University of Newcastle Stainless steel appliances Daikin ducted air conditioning Perfect for First Home Buyers or those seeking their own space to study Open plan living Extra storage Quality fixtures and fittings Secure underground parking Expected rental income is approx $300 per week. Ray White Commercial NSW and Ray White Morisset are pleased to present for sale 23 25 Yambo Street 111 113 Bridge Street, Morisset. This is an exciting opportunity to acquire a development site in Morisset's Town Centre. 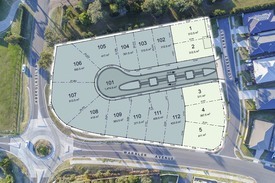 Key features of the site include: bull; 3,000sqm corner site with 2 street frontages bull; 4 adjoining properties bull; Adjoins Morisset Square Shopping Centre (Coles, Target) bull; Zoned B3 Commercial Core approximate The site is available to purchase in one line and if not sold, the 4 properties will be immediately re offered individually via Public Auction. The Auction will be held on Wednesday, 6th September 2017 at 10:30AM at Level 17, 135 King Street, Sydney NSW. For further information, please contact the below agents: David Lyons Director Ray White Commercial NSW M 0416 259 791 E dlyons@raywhite.com Peter MacIntyre Principal / Licensee and Director Ray White Morisset Lake Macquarie M 0404 885 411 E peter.macintyre@raywhite.com Disclaimer: Every precaution has been taken to establish accuracy of the above information but does not constitute any representation by the owner or agent. Information is gathered from sources we believe to be reliable; we cannot guarantee its accuracy and interested persons should rely on their own enquiries. 95 GRADWELLS ROAD, DORA CREEK (LAKE MACQUARIE) NSW Ray White Commercial NSW and Ray White Morisset are pleased to present for sale 95 Gradwells Road, Dora Creek for sale. 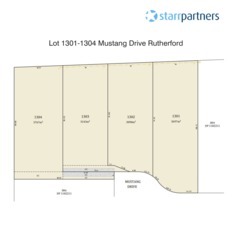 This is an exciting opportunity to acquire a DA approved subdivision site with 263 residential lots. 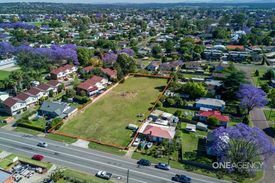 Key features of the site include: bull; Site Area 23.57 hectares bull; Zoned R2 Low Density Residential bull; 800m to Train Station Sydney to Newcastle main line bull; 400m to School bull; Lot sizes from 400sqm to 850sqm bull; 1.2km to M1 Motorway bull; 90 minutes to Sydney GPO approximate All offers are to be lodged by Friday, 4th August 2017 at 3PM. Disclaimer: Every precaution has been taken to establish accuracy of the above information but does not constitute any representation by the owner or agent. Information is gathered from sources we believe to be reliable; we cannot guarantee its accuracy and interested persons should rely on their own enquiries. Purchase off plan, below market value Service Sydney, Newcastle, Central Coast and Hunter Valley Regions Extra easy expressway interchange access Railway station and township minutes away Emerging business park with rapid growth rate Bunnings, Caltex, Reece Plumbing, Home Timber Hardware and BP already operating Zoned IN2 Light Industrial (Lake Macquarie Council) Turn key packages constructed to cater to your requirements Lake Macquarie and Watagan Mountain lifestyle. Lot 110 3,214m² $610,660 + GST Lot 112 2,707m² $595,540 + GST Lot 120 2,100m² $462,000 + GST Lot 121 2,164m² $476,080 + GST Lot 122 TBA Lot 124 1,970m² $433,400 + GST Lot 126 2,770m² $609,400 + GST Lot 127 2,964m² $592,800 + GST Lot 129 1,887m² $415,140 + GST Contact Peter MacIntyre 0404 885 411 for more information. Disclaimer: Every precaution has been taken to establish accuracy of the above information but does not constitute any representation by the owner or agent. Information is gathered from sources we believe to be reliable; we cannot guarantee its accuracy and interested persons should rely on their own inquiries. This vacant land property, 1525 sqm (approx) in area is rectangular shaped and located in the established and rapidly snow balling and #x27;Morisset Business Park and #x27;. The land is cleared, kerb guttered with a 30 m street frontage. The lot is located in the heart of the Retail Bulky Goods precinct of the Business Park, minutes from expressway (M1) interchange, rail station and Lake Macquarie lifestyle. Only 1 Hour North Sydney. Many thriving businesses in the park service the Central Coast, Hunter Valley, Newcastle, Sydney as well as the thriving local markets. Low risk investment for first time developer or ideal superannuation package for owner occupier.... Disclaimer: Every precaution has been taken to establish accuracy of the above information but does not constitute any representation by the owner or agent. Information is gathered from sources we believe to be reliable; we cannot guarantee its accuracy and interested persons should rely on their own enquiries. Railway Station No and #x27;s 29, 31, 33 35 Mandolong St Morisset Please see raywhitemorisset.com for a Property Information Memorandum or call to request one. Zoned Residential 2(2) Medium Density Adjacent to Morisset Railway Station 4 Adjoining Allotments Total Land area 4,000 sqm (approx) Corner site with rear lane access Walk to water, golf course, shopping centres schools 40 Units subject to LMCC DA Agent and #x27;s Comments: A prime development opportunity next to the railway station in the heart of Lake Macquarie and #x27;s emerging major centre.. Disclaimer: Every precaution has been taken to establish accuracy of the above information but does not constitute any representation by the owner or agent. Information is gathered from sources we believe to be reliable; we cannot guarantee its accuracy and interested persons should rely on their own enquiries. 'Bunnings at back door' Development previously approved. Level very long road frontage. 6 Factory Bays + Basement. Total approved area 3,702m². Wide turning circles easy vehicle access. Road frontage to all units, 25 car parks. Disclaimer: Every precaution has been taken to establish accuracy of the above information but does not constitute any representation by the owner or agent. Information is gathered from sources we believe to be reliable; we cannot guarantee its accuracy and interested persons should rely on their own enquiries. The new hub of the lower Hunter, which services Central Coast, Sydney Newcastle. 4 Hectares Englobo, Zoned: B7 Business Park Additional: 6.7 Hectares, E2 Environmental Conservation Gently undulating to level topography M1 Expressway frontage, extremely easy access Note: Sewage not connected. Great Future Investment. Disclaimer: Every precaution has been taken to establish accuracy of the above information but does not constitute any representation by the owner or agent. Information is gathered from sources we believe to be reliable; we cannot guarantee its accuracy and interested persons should rely on their own enquires. 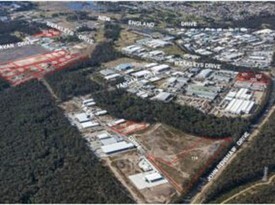 The new hub of the lower Hunter, which services Central Coast, Sydney Newcastle M1 Expressway frontage, extremely easy access Zoning; Industrial 4(2) 4(3) englobo industrial land Lot 7 4.31 HA Lot 9 7.71 HA Lot 36 11 HA (4HA 4(3) Industrial Zoning) Total of : 23 Hectares Total of : 16.034 Hectares Industrial Zoned. Offered in One Line or separately $75 per sqm Disclaimer: Every precaution has been taken to establish accuracy of the above information but does not constitute any representation by the owner or agent. Information is gathered from sources we believe to be reliable; we cannot guarantee its accuracy and interested persons should rely on their own enquiries. The new hub of the lower Hunter, which services Central Coast, Sydney Newcastle M1 Expressway frontage, extremely easy access Zoning; Industrial 4(2) 4(3) Lot 7 4.31 HA Lot 9 7.71 HA Lot 36 11 HA (4HA 4(3) Industrial Zoning) Total of : 23 Hectares Total of : 16.034 HA Industrial Zoned Offered in One Line or separately $75 /m and #xB2;... Disclaimer: Every precaution has been taken to establish accuracy of the above information but does not constitute any representation by the owner or agent. Information is gathered from sources we believe to be reliable; we cannot guarantee its accuracy and interested persons should rely on their own enquires. Identified as a Major Development Precinct Centre point of rapidly emerging business park High exposure to busy artillery roads Rezoned and positioned to service Sydney, Central Coast and the Hunter Valley Zoned 4(3) Industrial (Urban Services) Approximately 11,866m and #xB2; 500 Metres from the M1 Interchange Disclaimer: Every precaution has been taken to establish accuracy of the above information but does not constitute any representation by the owner or agent. Information is gathered from sources we believe to be reliable; we cannot guarantee its accuracy and interested persons should rely on their own enquiries.